It is that time of year again when we start getting organised for cricket. Winter sports have not yet finished but behind the scenes cricket has started. Please could you give me an indication by return mail (suecater@iinet.net.au)if your son / daughter is planning to play again for Kingston Hawthorn this year. 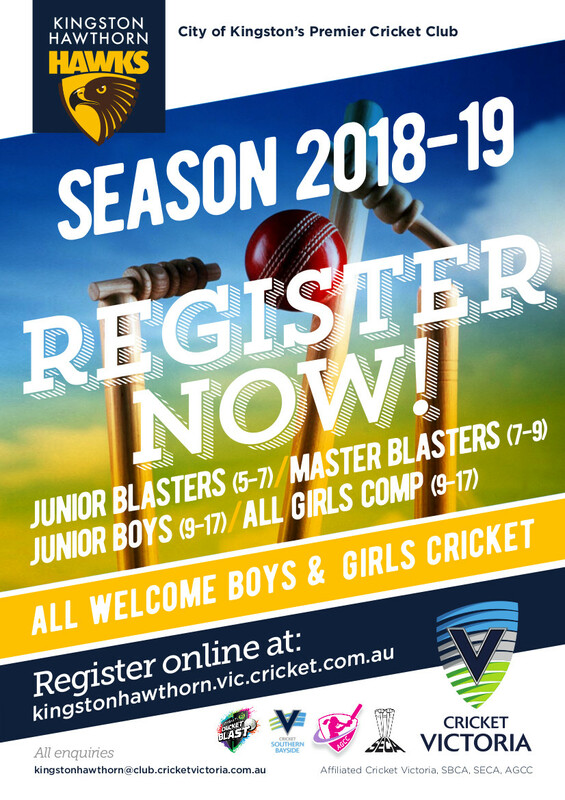 The other way to register is through playcricket.com.au . It is a much prettier way of paying but for this the club plays a fee per person registered there.